"Thorough, knowledgeable and extremely calming. Great practice and love Restorative Yoga." Check out our latest Facebook Video! Dr. Lin is also a certified and highly experienced yoga teacher. Her yoga certifications include pre- and post-natal, and certification in Advanced Relax and Renew restoratives. She’s been featured on the front cover of Yoga Journal and in Complete Home Practice, a DVD series put out by Yoga Journal. Growing up in Taiwan, Dr. Lin’s interest in and experience with Oriental healing practices began when she was very young and are quite extensive. In addition to her Acupuncture and Integrative Medicine practice, Dr. Lin enjoys studying and integrating different spiritual practices. She also loves dance, the arts, Los Angeles’ food scene, and her dog, a Chinese Shar-pei. We are in-network providers for Blue Shield, Oscar Health, and Cigna insurance. We are out-of-network for other insurers. For out-of-network insurers, we provide billing and claim information for our patients to submit to their insurer for reimbursement (or we can submit on your behalf). We are happy to help patients verify coverage and benefits for all insurance companies. We also provide special pricing for cash patients. Although the risk of disease and physical ailments clearly increase as we age, poor health is not an inevitable consequence. Our focus at the Center for Acupuncture & Integrative Medicine is to improve the health, and vitality of our patients. PEMF, is a non-invasive, pain-relief alternative treatment, which also promotes accelerated healing for ailments and injuries. In addition, PEMF therapy improves sleep, mental focus, and the body’s overall performance. Dr. Bebe Chianni Lin incorporates an integrated approach to improving her patient's health and quality of life using acupuncture, Chinese herbal medicine, nutrition, meditation and movement (yoga, qigong) in her Santa Monica-based offices. Dr. Bebe Chianni Lin has developed a 10-week integrated health improvement program to accelerate the achievement of your health goals, to help you feel better and more vibrant and to improve your overall quality of life. It is a lifestyle change program that will improve your body, mind and spirit in a sustainable way. The program called “10+” is a customized program that incorporates acupuncture, Chinese herbs, nutrition, yoga and other exercise/movement with active lifestyle coaching over a 10-week period. Yoga and Medical qigong therapy are key components of Dr. Bebe Chianni Lin’s Integrative Medicine practice. She’s been featured on the front cover of Yoga Journal and in the Complete Home Practice, a DVD series put out by Yoga Journal. Growing up in Taiwan, Dr. Lin’s interest in and experience with yoga and other Oriental healing practices began when she was very young. 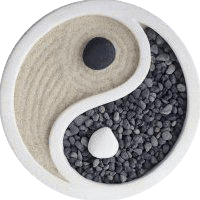 As a Doctor of Acupuncture and Oriental Medicine (DAOM), her mission is to provide personalized, high-quality, integrative care incorporating acupuncture, Chinese herbal medicine, nutrition and movement (yoga, qigong). "Dr. Bebe Lin is an incredible acupuncturist and yoga teacher. Her practices inform and support each other wonderfully." "Dr. Lin is an excellent Integrated Medicine practitioner. She spends the time to understand your medical history and your health goals." "She's professional and would highly recommend to anybody looking to heal naturally. I love her!"